- A place for the sale of milk and its products such as cheese, yogurt and ice cream. 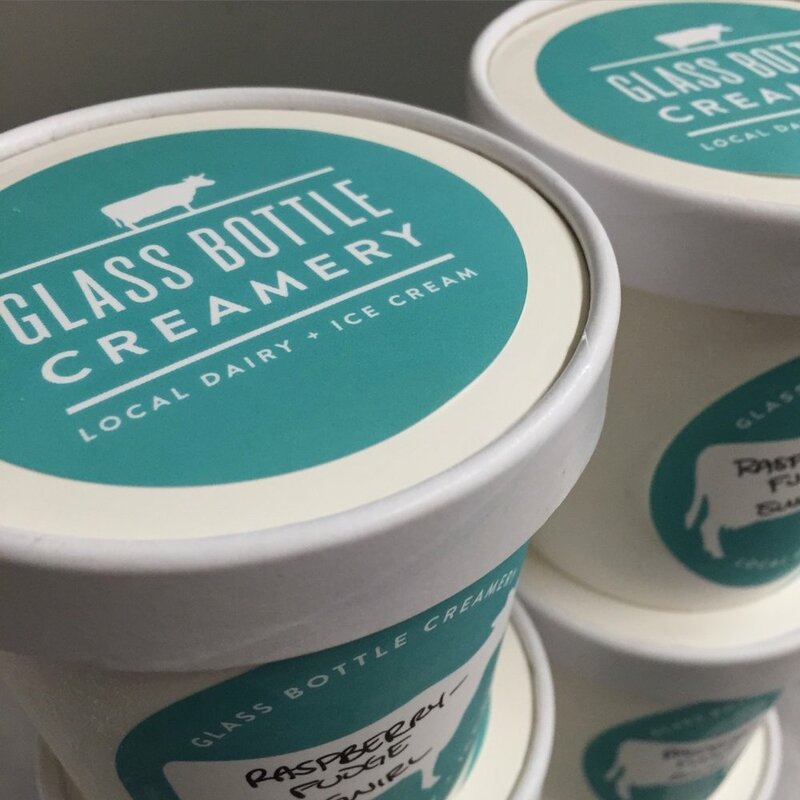 Glass Bottle Creamery is a retail store selling local raw milk, kefir, eggs, cheese, yogurt, and ice cream. All of our dairy products are sourced from Vashon Island and the Puget Sound region, and our ice cream is made down the street at our sister business, Vashon Island Baking Company. Please email us at info@glassbottlecreamery.com for more information or to book. Stop by the creamery to choose from our ever-changing selection of ice cream cakes! We offer both 6” cakes and 8” cakes ready to go. We also occasionally have frozen ice cream pies! If you would like to order a specialty ice cream cake, we require at least one week’s advance notice, as we do not make every flavor of ice cream every day. If we cannot honor a flavor request, we will contact you within 24 hours of your order. Glass Bottle Creamery is located in the center of Vashon town, next to the Voice of Vashon radio studio.